The City of Jacksonville, FL is contemplating sale of JEA, its municipal electric, water, and sewer utility. For years Jacksonville has toyed with the idea of selling JEA to a private investor, but the possibility has gained new urgency recently with the release of a valuation study. The city’s current mayor is advocating for the sale, which has generated significant controversy within the city council; a former mayor recently weighed in on the issue with an Op-Ed. This kind of privatization is uncommon for a couple reasons. First, JEA is a very big utility: it serves more than 450,000 electricity, 340,000 water, and 264,000 sewer customers. Privatization is uncommon for utilities of that size; most privatizations (or municipalizations, for that matter) occur with small or medium-sized utilities. Second, sale of a municipal utility usually follows some kind of failure. The utility may be failing due to poor investment decisions, mismanagement, or inadequate revenue. Alternatively, a city in financial crisis may choose to sell an otherwise solid utility simply for a badly needed cash infusion. Neither seems to be the case in Jacksonville; by all accounts, JEA is a well-managed utility with a strong record of financial, regulatory, and environmental performance. The city appears to be in solid financial shape. The utility generates a great deal of revenue for the city, both in service fees and taxes. 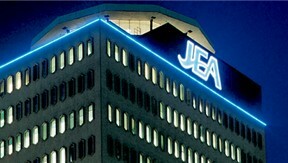 Instead, it seems that the proposed JEA sale is simply an arbitrage opportunity for Jacksonville. It’s a seller’s market for utilities, and some of the city’s leaders apparently see the multi-billion-dollar windfall from the JEA sale as a chance to channel resources to other city priorities. From a governance and policy perspective, the critical question is: what would Jacksonville do with the billions in proceeds from a JEA sale? Along with such economic considerations, the sale would shift JEA’s primary governance from city hall to the state’s Public Utilities Commission. For better or worse (or better and worse), JEA’s new owners would make supply, contracting, employment, and investment decisions with its investors in mind. The JEA controversy also prompts deeper questions about the nature and purpose of municipal government. In colonial America, the first municipalities were private, investor-owned companies (that’s why the process of forming a city government is called “incorporation”! )—collections of assets that generated profits for their owners. At some level, a municipality is still a collection of assets—utilities, streets, parks, stadiums, etc.—any of which might theoretically be commodified and sold to investors. But as Alexis deTocqueville observed, local governments are also social institutions that facilitate citizenship and foster democracy. When public infrastructure moves from municipal to investor ownership, the span of local governance shrinks; democracy becomes technocracy, and another element of daily life is transformed from collective choice to private transactions.